There is a question asked by Robert Lowell in his poem, Epilogue. I came across it in my 3 am travels and it has inspired me to write my second book. So much has happened since the ending of my first book, A Reflection of Love ~ A Different Kind of Love Story.” The problem is that I didn’t know how to write it. My first book felt very inspired by God. I had a very clear vision on what I wanted to say and how I wanted to say it. It didn’t even feel like I thought of the idea. It felt like a gift and it was in so many ways because writing my first book gave me hope, purpose and a sense of direction when I had none. I just had to learn how to write it and how to get it in the hands of the people I thought it might help. The business of writing is a whole other animal that I haven’t completely figured out yet. I’m not good at the business part of things. I always end up giving everything away for free because I know God always provides for my needs. I just want to write. My point is that I do not have that conviction for my second book. I kinda feel like I’m writing blind or thinking on the page as I go along, but I do feel like I have a lot to say. Most of it feels kinda stuck inside of me and is coming out sideways with family, old behaviours and even on social media. I am at a place in my life where I don’t know what to do and when I don’t know what to do —I write. My main purpose in my second book is to talk about what happened after the ending of my first book. I want to tell the story about how the pendulum of recovery swung far and wide in my life in terms of religion, relationships, children, poverty, mental illness, losing my mother, relapsing and then recommiting in a new way to my recovery. I needed to create a life I didn’t want to lose, one that I loved, one that would motivate and inspire me to live a healthy, spiritual life. So, when the opportunity presented itself to leave my job of 20 years to pursue an education and career in the field of addiction and mental health, I took it. Then, after eight years avoiding relationships, I fell in love —hard. Then it ended. I know that one’s gonna hurt to write. But, all these decisions have brought me to the life I live today, where I AM CLEAN & SOBER because I have learned to let the pendulum swing and balance in the middle of a life, that on most days, I think is a pretty good one. I know for sure is it won’t be perfect because I have three children, go to school full time, do a radio show and have you know, stuff to do. That means you will be seeing the first draft where I think I’m kinda babbling away, kinda like now, without too much filter or editing and there may even be occasional spelling errors on which I completely blame the app on my phone, where I am forced to do so much of my writing because of a very busy, but wonderful life and furthermore, while I hope my writing will be clear, I hereby accept that it won’t be my most perfect, polished and refined piece of work. I have to let of perfect to get anything done. So, here's the deal. If you haven't read my "A Reflection of Love ~ A Different Kind of Love Story" you can buy it at Visions Bookstore in New Westminster or online at Amazon, etc. I will be blogging my book chapter by chapter every Sunday morning by 9am. This is my promise to you and to me and we’ll see where it’s takes us. “Yet why not say what happened?” is the question asked by Robert Lowell in his poem, Epilogue. I write because writing lets me dream, not of money, but of connection; of building a community of people that understand where I am coming from and talking about about. A community where I am the new-normal. Are you with me? 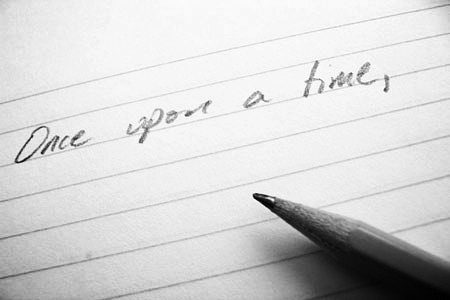 Let's write this story together. The power I found, in being powerless.